Is a good design beneficial to your blog? Many underplay the importance of good design. They wrongly perceive that blogging is more about content and less of design. But the truth is far from that. Good design is equally as important as the content. It’s no wonder that many have the highest quality content you could ever find, yet they continue to lag behind in traffic. 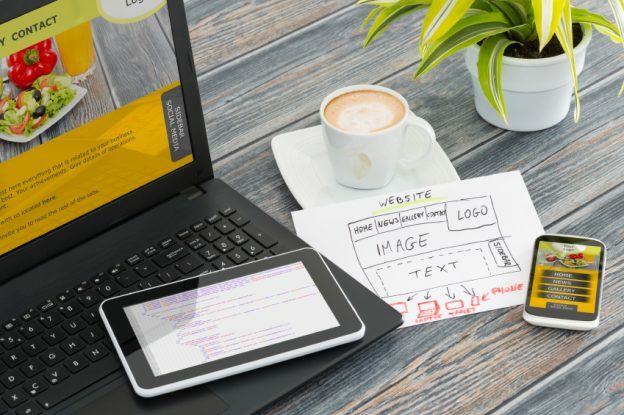 Here’s how good design can boost your business as a blogger. You have less than six seconds to attract attention. If your site looks boring from the word go, you lose users or potential customers as soon as they find you. Put in mind that there are millions of blogs on the internet. It is, therefore, convenient for users to close a badly designed site and find another rather than try to strain their eyes through your content. You may lack the highest quality content, but the right design will on the first glimpse, create a good first impression (which is all that matters at times). A good design like something cool is visually stimulating. Aspects of a good design include the personality of your site, how much effort has been put, and how modern it appears. Users should be able to discern the name and the purpose of your site at the first glimpse. A good design will significantly reduce the bounce rate and increase conversion. Some usable blogs are easily forgotten not because they are not useful, but because their sites were not designed with user experience in mind. Having the right design will ensure your blog does not fall under the forgotten lot. The design is not solely important when the user is on the site but when they are offline. What impression does your blog leave? What makes your blog site unique from the rest? Your blog will easily be forgotten, however useful it may be, if not strikingly designed. If a visitor reads on your blog about a service today, what will make them remember you next time they’re looking for that particular service? A good design helps to create remembrance through aspects such as logos, themes, colors, interactivity, cyclic displays, and many other elements. The importance of a responsive design cannot be underestimated. Not when almost every internet user is accessing the internet via a mobile device. A responsive blog shows in all types of devices whether mobile phones or extra large computer screens. A responsive design will automatically adjust to the resolution of the device it’s opened with. If your blog doesn’t give the users a good viewing experience, they won’t come back again. Nothing loses your credibility more than when a potential customer tries to open your blog on medium sized devices and lot of things look broken. The same applies when a link takes forever to open. Regarding the need for speed, Google found out that, by delaying the search results by just 400 milliseconds, there was a significant decline in the number of searches. However, by removing unimportant functionalities that slow the speed, a good design will help to increase the speed of your blog page. Every blog has got a goal and a purpose. A good design takes into account the purpose of your blog and works toward achieving it. Readers won’t read everything on your page; a good design gives prominence to your desired goals. By using minimization, you can draw attention to one or two crucial elements such as the sales leads, advert clicks, and RSS readers. Good design has the power to convert strangers to loyal customers. It increases usability and makes the user experience more enjoyable. By having nonobstructive, innovative, aesthetically appealing, and logically ordered website, you increase your perceived value and customers are more likely to return. Recent research by Google shows that 78% of the users want to find what they are looking for in a click or two. 64% of the users want to scroll only up and down. If your users have to zoom, scroll up and down, right and left to find what they are looking for, then they are more likely to go back to the search engine and find a friendlier site.